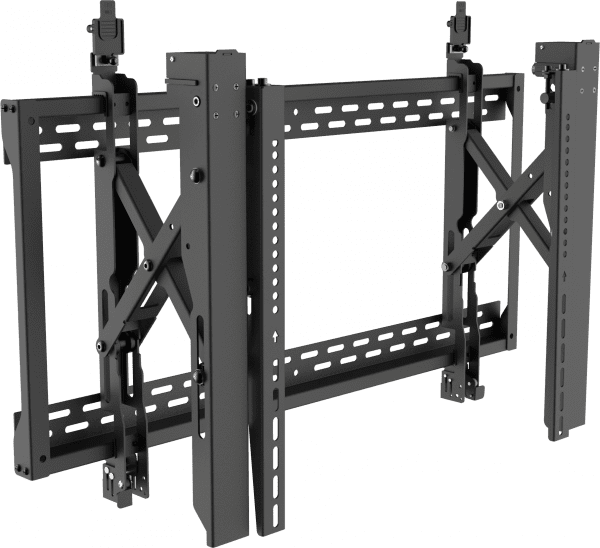 Aligning displays on a video wall is painstaking, so every detail has been thought about on this mount to ensure it is as fast as possible to install, and as easy as possible to adjust with precision. Wherever possible Vision uses thumbscrews which dramatically speed up installation and help with faster adjustment. 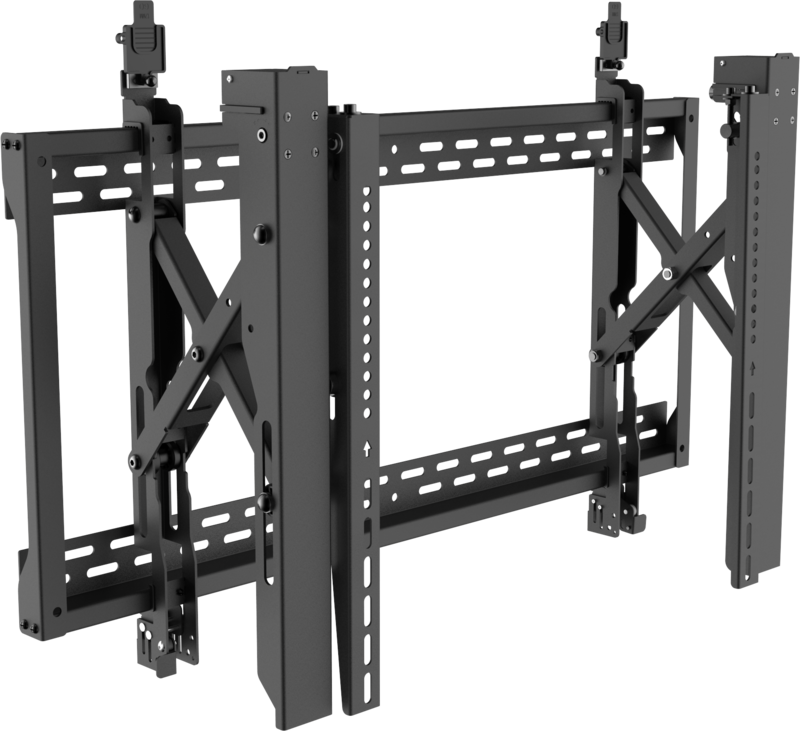 Vision include more screw sizes than other manufacturers to ensure you get that display on the wall as quickly as possible every time. A light push on the display releases the scissor pop-out mechanism, pushing the display out towards you. Plastic tongues are included which are put into place once you are done to avoid accidental pop-outs. Fix the vertical arms to the rear of the display, then lower this assembly onto the wall bracket. It will latch into place. It can be removed by pushing a quick release lever. 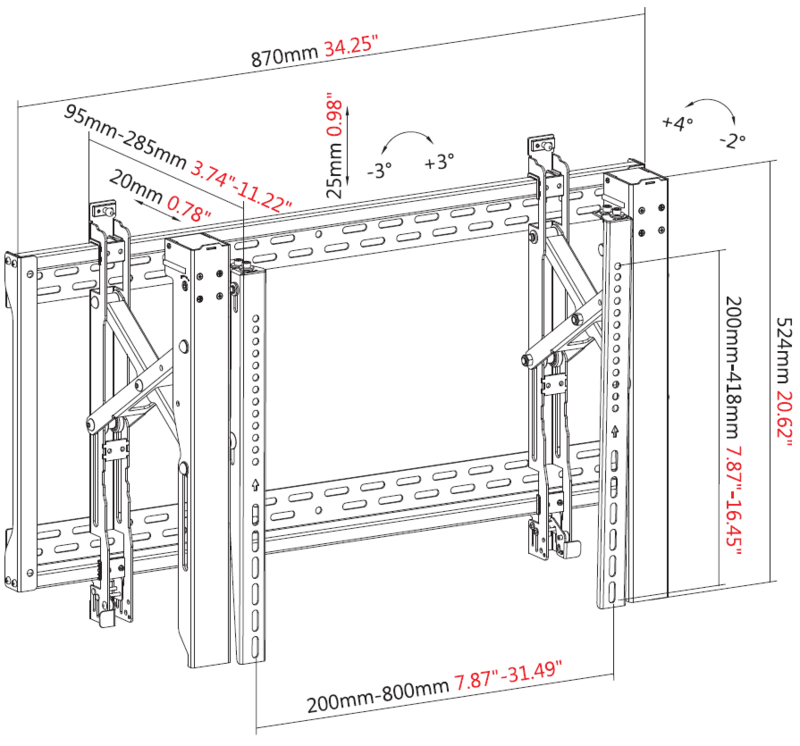 Adjust tilt by -2 to 4° with screws positioned at the top of the vertical display arms. Adjust rotation by -3 to 3° with screws, also positioned at the top of the display arms. 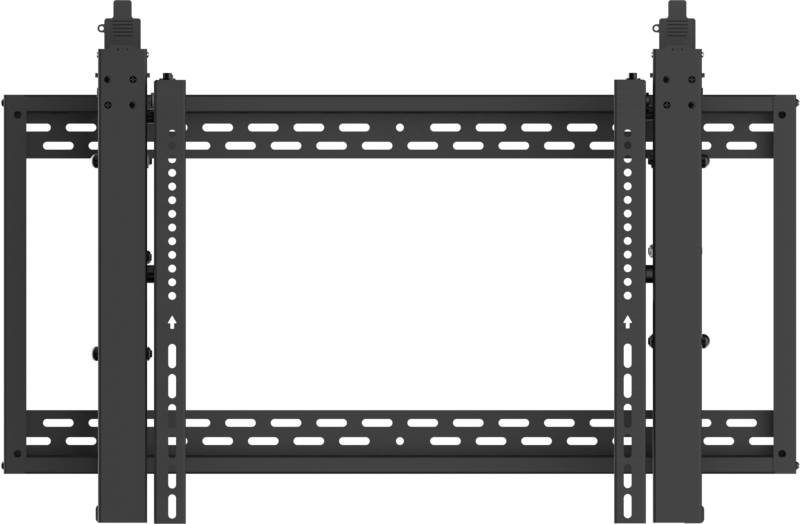 The depth of each side can be adjusted independently with a hex key on the side of the vertical display arms. 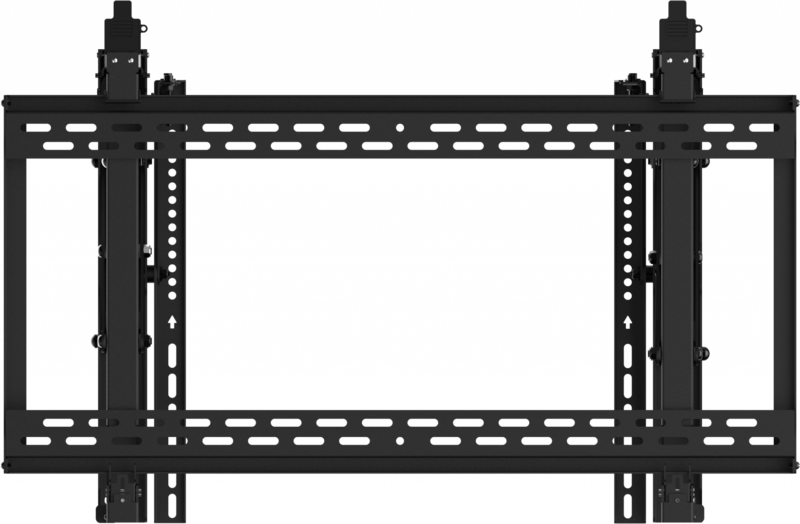 Fits any flat-panel LCD or LED screen which has rear mounting holes up to 800 wide x 400mm tall apart. The minimum depth in place is 95 mm (3.7″), and when it pops out it comes 285 mm (11.2″). It latches into place and can be locked with a padlock (not included) for further security.